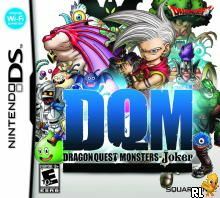 OverviewIn Dragon Quest Monsters: Joker, you�re cast into the role of a young monster trainer competing in a monster-scouting tournament. By a turn of fate, you end up in events bigger than the competition. 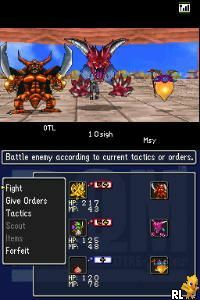 Players assume the role of a monster hunter as they capture, train and breed a powerful army from more than 200 classic Dragon Quest creatures in order to become the world's greatest monster trainer. Joker is a breakout title that combines the depth of a classic Dragon Quest RPG with the addictiveness of a monster catching adventure. Get ready for a new breed of RPG quest in this monster-collecting/RPG hybrid. You're a monster trainer in charge of a party of monsters! Send your monsters into battle three at a time, each with a custom path to victory. If they win, your minions will win you more servants,When you're starting out, your monsters will battle on their own. But as you get more comfortable, they'll expect more guidance on how to use their ever-expanding array of skills. Collect and breed your monsters like a master and become the world's best monster trainer! Now you can add videos, screenshots, or other images (cover scans, disc scans, etc.) 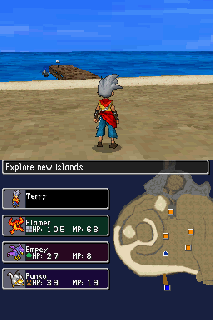 for Dragon Quest Monsters - Joker (U)(XenoPhobia) to Emuparadise. Do it now! If you haven't noticed yet, we have a retro game of the day feature (top-right of the screen) wherein we feature a new retro title every single day! Now, you can vote for your favorite games and allow them to have their moment of glory. 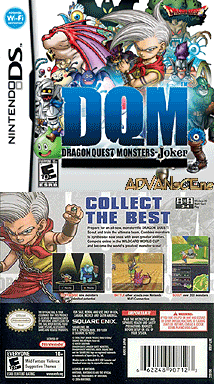 Click on the button below to nominate Dragon Quest Monsters - Joker (U)(XenoPhobia) for Retro Game of the Day.